Sigma have this week confirmed which lenses are compatible with the Canon EOS R. And it's great news for EOS R users who are looking at their lens options, especially given the list includes Sigma’s Art and Sports range. Pictured above is the Canon EOS R with the Sigma 85mm f/1.4 Art lens. A very nice, sharp combo that is perfect for portraits. Sigma have reported that both autofocus and optical image stabilisation work without any issue. The only restriction of note applies to the EOS R’s ‘Scene Intelligent Auto Mode’, which is not compatible. This applies to 15 out of the 42 lenses that Sigma have tested (indicated in the list below with an *). It’s worth noting that Sigma hope to bring out a firmware update to resolve this, but no news as to when this will be. 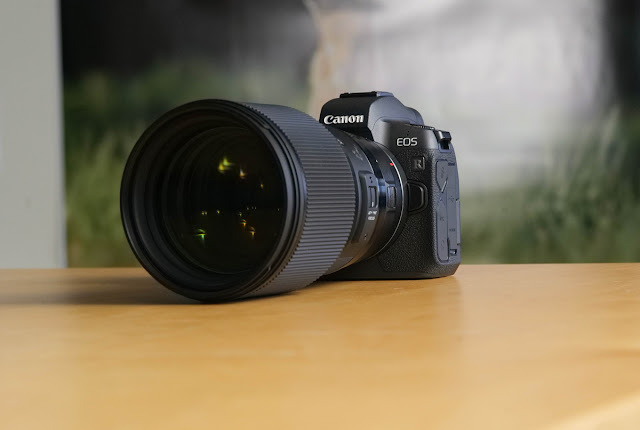 Given the EOS R uses the RF Mount, the lenses were tested using the Canon EF-EOS R Mount Adaptor, as well as the Control Ring version. DC Lenses – You’ll need to set 1.6x crop manually in the EOS R menu – they’re designed for APS-C bodies! They hope to bring out a firmware update to this.